To quote that famous super market, this isn’t any case, this is a Genuine Samsung Galaxy S4 Wireless charging cover. It is a back cover for your Samsung Galaxy S4 which replaces the standard back cover, however, this has the wireless charging ability built into it. Unlike some of the recent phones, Samsung held back on the wireless charging ability in the standard Galaxy S4. However, using a new back cover, you can bring that feature onto your phone. The only way to fit this is by replacing the standard back cover. The removal of the standard cover is easy enough, though I found that this cover required a bit of pressure to be applied to fit in place. This is because it snaps into place, and being slightly bigger than the usual cover meant it felt just that slight bit different. Once in place though, you won’t notice any different. This is why you put this case on, and this is where it works so good. In fact I’ll go as far as saying that I found the charging experience of this better than what I have seen on the Nexus 4. Using a standard QI charger, I found that the charging was a lot more relaxed for the S4, and you could place it at any angle with no problem. While timing is more than wired charging, the ease is enough to convince you to use this. Just need to buy loads of wireless chargers for all the locations at my home, work, etc. We had the good, what is the bad, and the ugly? One thing which feels very subtle at first, but suddenly makes impact. This case makes your phone ever so slightly bigger (wider), to fit in the extra hardware. Those couple of mm though, mean that your standard cases won’t fit the phone any more, and you’ll have to go for something soft in case you need a case. However, having said that, the GOOD is that the charging seems to work through cases, though it is clearly stated on the product page that there is no guarantee of this working with a case on. I can tell you it works for me, for my current setup. Enough already, how do I get it? 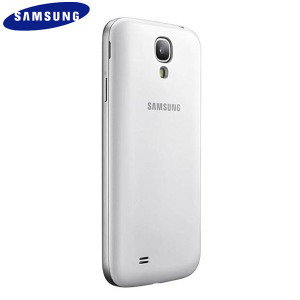 It comes in both white and black, though I went for white, because that is the colour of my phone. I am absolutely sold on this. The idea of wireless charging is just simply amazing. My mission is to get a wireless charging station at every location I can possible be, including my parents’ home! Definitely recommended.